In addition to top flight advice on how to manage the impact of taxes on your purchase, our attorneys provide settlement services and documentation and registration services for boats and ships. If you are buying at a private sale, and you need an attorney to hold the funds and review the evidence of ownership — we can do that. 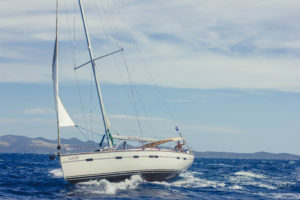 If you are buying a boat flagged internationally and need assistance deleting it from foreign registry and importing it into the United States — we can do that. If you need to a vessel held in the name of a corporation and flagged in the British Virgin Islands (or the Caymans or Jamaica) — we can do that. Purchase advice for to-be constructed yacht: call for estimate. 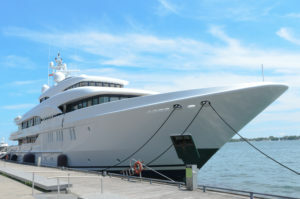 Commercial yachts and ships: call for estimate. Privately owned, non-commercial vessel registered or documented in the United States. Set up limited liability corporation for vessel ownership (plus fees imposed by jurisdiction). International flagging of yacht, including British Virgin Islands, Jamaica, Cayman Islands (others available). Related services such as advice about chartering vessels, imposition of tax, captain and crew contracts, can be quoted on a flat or hourly basis.